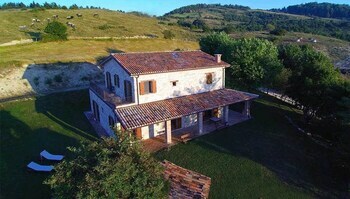 With a stay at Agriturismo L'A Ceccoli in Sassofeltrio, you'll be 8.4 mi (13.5 km) from Basilica of Saint Marino and 8.4 mi (13.5 km) from Liberty Square. Featured amenities include multilingual staff and a library. Free self parking is available onsite. With a stay at B&B Il Bandito Re in Nuoro, you'll be within a 5-minute walk of MAN Province of Nuoro Museum of Art and Piazza Sebastiano Satta. Apollo Apartments Colosseo offers accommodations throughout the area in Rome. Featured amenities include luggage storage and a safe deposit box at the front desk.